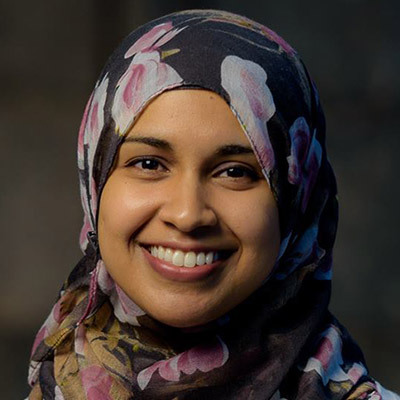 Meet Rafia Khader, one of the newest staff members of the Lilly Family School of Philanthropy. Most excited for: Learning more about philanthropy at the Lilly Family School of Philanthropy. “I want to deepen my knowledge about philanthropy. I’ve become really interested in this field and how it is so multidisciplinary. I studied economics, then I studied religion. It wasn’t until I came here that I realized how those two seemingly divergent fields might go hand-in-hand through the study of faith and giving. Stay tuned for Friday’s post, which will feature Rafia’s reflections from a recent Executive Certificate in Religious Fundraising course.